Jo Coudert didn't start out with seven cats. She began with just one, Kate, a gorgeous tortoiseshell Persian who knew exactly who she was - the apple of her mistress' eye. But as Jo, a New Yorker, began spending weekends and eventually all her time at GoWell, a small house in rural New Jersey, she began to acquire cats - or more accurately, they acquired her: strays, waifs, orphaned kittens, homeless toms, and cats who came to dinner and never left. Seven Cats and the Art of Living tells about the cats - Kate, Poppy, Chester, Socksie, Trot, Bitty and Sweet William - who share GoWell with Jo and her dog, Freebie. Their stories are instructive, quietly inspiring and written with simplicity. 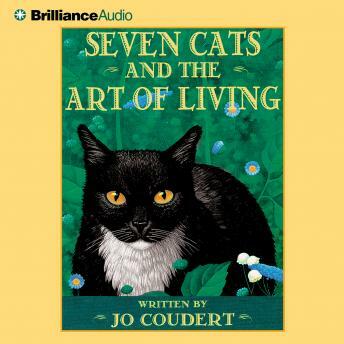 Through dramatic anecdotes, Coudert shares the moral lessons each cat taught her including knowing oneself, governing oneself, valuing oneself and interacting with others with warmth and friendliness.